I can truthfully say that the five weeks I spent at PGSS were the best five weeks of my life. modular arithmetic, and the biochemistry of the HIV virus. We built our "intuition for the unknown,"
just as Professor Collins said we would, all while making memories along the way. Curriculum: The five core classes were Biotechnology of Viruses, Organic Chemistry, Computer Science, Discrete Mathematics, and Concepts of Modern Physics. These classes, along with the electives, labs, and team projects, made up the bulk of our days, for when we weren’t in Wean 7500, we were in the Ice Box doing our homework and problem sets. It was clear that the professors were incredibly knowledgeable and passionate about their fields, and that they were dedicated to helping us understand the concepts. Going into the program, I knew that I wanted to pursue a career in a STEM field. However, the rigorous curriculum showed me the breadth of information I had yet to learn, and that scientific research holds infinitesimal possibilities in store. TA’s: The program wouldn’t have been the same without the TA’s and RA’s who were so dedicated to making sure that we all had a valuable and educative experience at the program, both academically and socially. I can remember one night when I worked with a TA for at least an hour and a half on my Mathematics Problem Seminar homework. I realized how dedicated that TA was not only to the subject, but also to helping me. In addition to the homework, the TA’s also spent hours filling up water balloons for the Hunger Games Water Balloon Fight, elaborately planned the drinks and games for the Casino Night, and even had conversations with us about anything and everything, as we ate Dominos Pizza until 2:00 in the morning. The TA’s ensured that despite the academic difficulty of the program, we were all still having fun, and for that, I can’t thank them enough. I realized how dedicated that TA was not only to the subject, but also to helping me. Social Life: Any review of PGSS 2015 would not be complete without including a discussion of the social life, which, in my opinion, is almost as important as the curriculum itself. Before I came to the program, I talked to a friend who had attended PGSS the previous year. He advised me to go to most if not all of the social events. I heeded his advice and have no regrets, for it was during the social events that we created memories and lifelong friendships. Our PGSS experience began with the promenades and do-sa-dos of the Square Dance in Rangos Ballroom, and it culminated with a spontaneous midnight walk through the Number Garden with all of my classmates. The organized events, such as the Tour de Donut Relay Race and Pirates Game, and the unplanned events, such as the 22- person Mafia Card Game and late-night Frozen Yogurt runs, all brought us together with the result that at the end of the program, we were a sixty-person family. 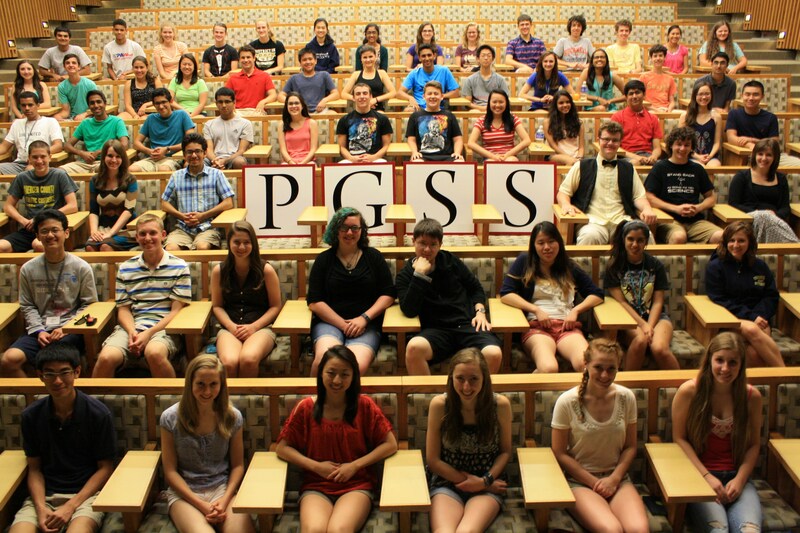 I am incredibly grateful that I had the opportunity to attend PGSS 2015. I have learned more about science and myself than I ever thought I would, and I will cherish these lessons and memories for the rest of my life.